Kwantlen Polytechnic University (KPU) and BCcampus are excited to announce that beginning this summer, Psychology instructors will now be able to choose from a textbook published by a traditional for-profit publisher or they can choose to use an open textbook. 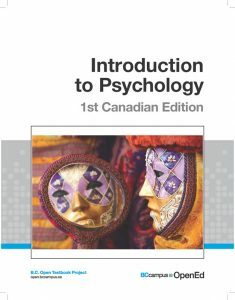 In the past, all Introductory Psychology courses at KPU have used the same mandatory textbooks. Open textbooks are available free of charge (if accessed online), or at low cost (if printed on paper), which results in significant savings for students in B.C. In fact, because Introductory Psychology is such a popular course, KPU anticipates that students will initially save tens of thousands of dollars and eventually millions of dollars. Open textbooks are licensed under a flexible copyright license (e.g., a Creative Commons license) that also permit instructors to modify, adapt, and update the textbooks to suit their teaching goals. As of today, KPU is the top adopting institution in British Columbia, reaching over 100 open textbook adoptions, nearly double that of any other post-secondary institution in the province. How did KPU do this? Learn from the faculty that made it happen in this informative panel discussion at the Festival of Learning. They will share strategies, lessons learned, and practical advice for opening your department. Have you adopted an open textbook? Please fill out this form. Faculty adoption information is important to the long-term viability of the B.C. Open Textbook Project. What is an open textbook and how do you use it?